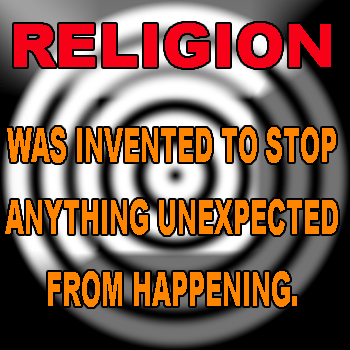 Why people stuck in religion make no attempt to escape? Why do people stuck in religion make no attempt to escape? Reason number one why people stuck in religion make no attempt to escape. I don’t know one Christian, who does not have unanswered questions about their religion. But Christianity is not a religion of answers; it is a religion of if’s, and’s, but’s, and maybe’s. When Christianity cannot answer a question with a simple straight response, suddenly the answer becomes, “oh well that is a mystery”. How self-servingly convenient! But reality doesn’t work that way. I remember when I was in the word of faith movement, asking why physical healing was such a hit and miss thing. Dishonest preachers invented all kinds of reasons; my faith wasn’t strong enough, the person wanting to be healed, had sin in their life and hence God could not heal them. The reasons proffered went on and on. When push came to shove, it suddenly became a mystery; “God works in mysterious ways, don’t you know?!”. I started to realize, that if faith healing was to be trusted at all, and if it was a work of God, then the results would at least be consistent. I realized, that if I dropped a pencil from my hand, it would travel downwards to the floor, every single time. But so much of Christianity cannot be relied upon for consistent results. Take answered or unanswered prayer, for example. Christianity demands different results over multiple thousands of belief systems practiced by multiple thousands of denominations. Statements of belief, differ from sect to sect, and there is no unity in that, only disunity and dualism. Orthodoxy is that which decides who to call a heretic, and who to call a believer, on the basis of ever-changing rules, that it makes up as it goes a long. Orthodoxy was founded in division, decided in pools of blood and swordplay, and maintained with murder, character assassination, and anything but the love described in 1-Corinthians 13, and easily disproving any positive answer to the prayer of Jesus, who prayed that we would be one. So Jesus doesn’t get his prayers answered, but you do? Voltaire famously said, “To learn who rules over you, simply find out who you are not allowed to criticize.” This holds especially true for religion. Anybody who persistently asks a Christian leader any given question about why that church believes what it does, knows exactly what I mean. If you want to survive in Christianity, do not ask questions. Yes, religion always makes the best liars. Without any question, Christianity survives on unanswered questions, easily as much as on unquestioned answers. That in a nutshell, is either intellectual bankruptcy, or deliberate deflection and manipulation. In a digital age ignorance is a choice, because sustained inquiry, together with using one’s own intelligence, cannot help but magnify the holes in many church doctrines. Devotion to Christianity, means that you are being manipulated by the two most basic and successful human motivators, which are, the hope of gain (heaven), and the fear of loss (hell). Quite naturally, Christian leaders will tell you that they didn’t invent these motivators, but that God did. So apparently God says, I love you so much that I invented hell just in case you didn’t love me back. Does that make any sense to you at all? I want to save you from what I will do to you, if you don’t open the door. And then there is heaven, and haven’t we all got our own picture about heaven, despite the fact that so little is written about it in the Bible, and that the only person that the Bible says can go there, already must previously have descended from there? Not to mention the fact that the only person to return from the dead never talked about it afterwards. The Trinity is another such doctrine (I speak as a nominal Trinitarian). Or ask the average Christian, where babies go when they die? They will offer you nothing from the Bible, except cut-and-paste, hit and run bait and switch inferences emanating from their own emotional comfort zones. They hate to think that God would possibly consign a baby to hell, even though Jesus plainly said, “if you don’t believe, then you are condemned already”. There are black and white things in the Bible that every Christian tends to ignore because it simply does not agree with their emotional comfort zone. The most common form of theological manipulation is reading out of context. Any Texan will know what a longhorn is, and we used to use a term called Longhorn preaching – a point here and a point there and a lot of bull in between. Christianity hardly knows how to support any of their doctrines without proof texting; that is to say, taking a verse from here and a verse from there, and hey presto we have a new denomination, a new theology, a new way to divide otherwise happy people, and yet another hand reaching into your pocket. The next method of theological manipulation is the clever use of logical fallacies. 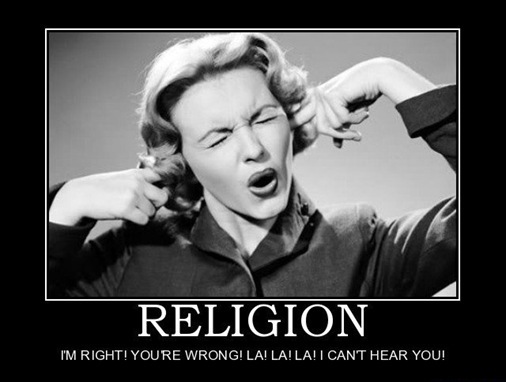 Strawman arguments, red herrings, ad hominem attacks, bandwagon appeal (ad populum), begging the question, Hobson choices, and circular arguments are all fair play in the mind games of Christianity. They will say that the Bible is Scripture despite that which Jesus clearly identified as Scripture; that is to say, the Law, the Psalms, and the Prophets. The New Testament was canonised over the dead bodies of those who disagreed. Go ahead, research it. Surely the truth.is not going to hurt you, or is it? They will point you to a verse in Paul’s Epistle to Timothy that says that all scripture is inspired by God. So here is the argument. The New Testament is Scripture. Because the New Testament says it is Scripture. Therefore the New Testament is Scripture. Because the New Testament says it Scripture. AAAAAaaaarrrrgh! The lunacy of at all is truly breathtaking. Reason number two why people stuck in religion make no attempt to escape. You would be surprised how many people get to their old age or even their middle age, and are so afraid that they may have wasted their life on wrong beliefs, that this alone is sufficient to decide them on keeping to that which they either know or strongly suspect to be wrong. .
Reason number three why people stuck in religion make no attempt to escape. If I am wrong about this what else could I be wrong about – better be safe than sorry – so let’s stick with orthodoxy, or at least my version of orthodoxy! Back when Christians were killing each other openly and boasting about it, over nothing more than theological differences, (and don’t think that Catholicism was the only culprit here, when Protestants were every bit as guilty), this excuse would have carried a lot more weight when your life depended on it. Today though, with all of the free Bible tools we have, along with the Internet, we can read the Bible in Hebrew, Greek, any number of different languages, and good Bible dictionaries to tell us what words actually mean. And what is the best thing they can come out of this? You may, if you are at all interested, discover for yourself, what the Bible actually says. Why is it important? Because you must ask yourself why there are over 900 versions of the Bible in English alone, and the obvious answer is, because they don’t agree with each other, so a new one is written to espouse either this theology or that theology. Why is hell mentioned in the King James Bible so many more times than in the NIV Bible? The best thing that can happen is it you will find out what the Bible says accurately, and the worst thing that can happen is that you will upset your Christian leaders when you start asking questions about it. Reason number four why people stuck in religion make no attempt to escape. it is truly remarkable, that for people so devout, that for people who claim to want to know the truth, for people who are willing to be ostracized or even killed for their version of their pet truth, that Christians are so comprehensively ignorant of the history that produced them, their public holidays, and their favourite doctrines, high holy days, and saints. Christian history covers a span of some 2000 years. The Roman Catholic Church is reputed to have over 1500 miles of counter space and shelving containing books and manuscripts, independent examination of which they refuse. The Roman Catholic Church has been what it is today, for approximately 900 years, prior to which, it was involved in numerous schisms, the most public of which was that between the Roman Catholic Church,, and what is today recognized as the Eastern Orthodox Church. The Roman Catholic Church, you will note, is called the ROMAN Catholic Church, not the holy Catholic Church, nor simply the Catholic Church, nor even the Christian church, but it is called the ROMAN Catholic Church. Why do you suppose that is? Why not the Jerusalem Catholic Church? Why not the Ephesian Catholic Church? These were both very active centres of Christianity in the first century. The answer is really quite simple. Rome, in the early days of Christianity, was the equivalent of today’s Washington, New York, London, Berlin and Moscow. It was in short, the seat of global political, military and even religious power. Rome was where the money was. But in those early days the Bishop of any one geographical region, was exactly equal, in power, voting rights, and honor, to the Bishop of any other area. But for Rome to achieve the preeminence in the religious world, that required money. And Rome was where the money was. The Bishop in Rome had both the influence and the cash to bribe smaller churches elsewhere. Let’s say that a certain r4egion was choosing a bishop. Rome could offer either political or financial capital, on condition that the Bishop they voted in was one that was amenable and acceptable to the church in Rome. Of course, the bribe was made as a gift to give help to the poor, or build a new cathedral. Whether it was used for that purpose or not, was irrelevant. The church in Rome had access to slaves that no other church had. Imagine the advantage it would give you, if you were offered a deal where freed slaves would be assigned to your church, together with the obvious income that would provide as those slaves became employed freemen. You certainly did not want to cross the church in Rome, and you did want benefit from its gifts. Move ahead to the sixth century, and we see the church in Rome de-sainting saints they had previously honoured and touted as leadership examples. Why? Because the church’s theology had grown ever more restrictive, it’s political power more weighty, and it’s leadership more concentrated, with effective power at the top and the great unwashed masses at the bottom, just like a modern corporation, and like any corporation, the bottom line was profit. The church had been re-invented as a pyramid, and this in clear contravention, to the biblical convention, that the church was built on Jesus as a chief cornerstone, then the apostles and prophets, and then the church in that order. By now Rome had converted, subverted, and inverted God’s blueprint. Move ahead to the 11th century and we have the biggest schism of all time in the Christian church. Move ahead to the 16th century, and the Roman Catholic Church is now offering people the first version of true greasy grace, as the priests in Germany would quote a little poem, “when you’re coin in the box you fling, then your soul into heaven will wing”. These were the tele-evangelists of the 1600s, making money out of promising escape from Purgatory. It was the straw that broke the camels back, brought on the Reformation, and birthed the rebellion against the Catholic Church that had been brewing for 1000+ years. Fast forward to the continued discovery of the new world, and we have the doctrine of discovery, promulgated by the Pope of the time, and embraced by all Catholic and Protestant nations alike. The doctrine of discovery states that if any nation discovers a previously unknown land,and the inhabitants of that land do not worship Jesus, then genocide is a God-given option, in the subjugation of the natives and the theft of that land. Not only did this become international law, but it was upheld by the US Supreme Court in 1823, in the case of Johnson versus Macintosh. Australia, the Americas both north and south Africa and India all suffered as a result of this hellish doctrine. Marry that doctrine to the doctrine of just war, first enunciated by almost all churches poster pinup boy, St Augustine, and again revived during the Middle Ages by St Thomas Aquinas,, and you have the perfect recipe for the horrendous and disproportionate murder of native peoples worldwide. If you are a Protestant then this is your history. I know that you claim that you are the member of a religion that is as close as possible to the early Christian church. If that is you, you probably need to read a book called Pagan Christianity by two well known Christian leaders and sells for only a few dollars on Amazon. It is written by Frank Viola and George Barna, but you really don’t want to read this if you are not interested in historical, factual, evidence. Somebody once wisely said words to the effect that if you do not know your history you will be doomed to repeat it. Most western Christians are either unaware of the part that their own church leaders played in the inhumane horror of slavery. Australia, America, the United Kingdom, and countless other nations profited handsomely from this ungodly doctrine promulgated and supported by the Church. It was only in 2006, that the largest protestant denomination in the world, the US Southern Baptist Convention, publicly apologized for the role it had played in the maintenance and financing of slavery. But it wasn’t alone. Almost every Protestant church in the USA at that time, were complicit in the illicit use and murder of slaves both black and white. Carl Sagan once famously said, “The fact is, that far more crime and child abuse has been committed by zealots in the name of God, Jesus, and Mohammed, than has ever been committed in the name of Satan. Many people don’t like that statement but few can argue with it.”. That was true when he said it, and is true today. “When the missionaries arrived the Africans had the land and missionaries had the Bible. They taught us how to pray with our eyes closed. When we opened them they had the land and we had the Bible.” ~ Jomo Kenyatta. Reason number five why people stuck in religion make no attempt to escape. This is perhaps the most despicable of all the reasons we have outlined here. Self righteousness is the act of relying on your own intelligence and actions to be considered righteous, either by God, or other people. It can take many forms, but it can be boiled down to one thing; I am right because I say I am right. Far from mental laziness, this is invincible ignorance at work using selective segmented salvation as its justification. Depending on the denomination to which you belong, the steps to achieving and maintaining your “salvation” will differ slightly, but almost always includes something that you must do to become righteous in either God’s eyes or men’s. This could amount to something as simple as saying a magic prayer to get you born again, up to weekly confessions with suitable penances and other good works as espoused by the Roman Church and others. This is institutionally supported, but individually earned, self righteousness at work. Every single denomination also has an excommunication clause, which is invoked when you have surpassed what the institution deems to be acceptable behavior, and may infect the rest of the flock if you are allowed to stay. This is variously called, excommunication, reading out, putting out, disfellowshipping, shunning, and various other terms. In every case, when this is invoked, you are judged not to be sufficiently righteous in a kind of kangaroo court, and, like a gangreneous limb, must be removed to ensure that good health of the rest of the “flock”. This is institutionally supported, group endorsed, self righteousness at work, but you must never underestimate the power of sheeple in large groups. When it comes to staying fixed in the same religion or political party that your parents raised you in, or when you say, I was raised a Presbyterian and I shall die a Presbyterian, as though that was some badge to be worn with honour, it only puts on display, your disability to think for yourself. Never forget, that terrorist suicide bombers were taught to never question their religion. What do you teach your children? It may be done out of honouring one’s parents, but it’s most likely done out of mental laziness and self righteousness. Self righteousness makes us proud of what we have done. The gospel makes us proud of what Jesus has done. In the strictest sense, self righteousness occurs when you convince yourself that you can be righteous before God without God, depending only, or even partially, upon yourself or your behaviour. Self righteous people have to pretend you’re either wrong or a bad person, so they don’t feel guilty about the things they say about you, or do to you. God forbid they be accountable for their own crap. Another way of exercising self righteousness is when you anthropomorphize God, by presuming him to be just like yourself, and judging him based on the norms of human behavior. Many people do precisely this, and in doing so, throw the baby out with the bathwater. A good example is how people will say that the angry God of the old Testament could not possibly equate to Jesus in the new Testament. Their presumption is as foolish as an ant judging a human. If the whole of universal knowledge could be put into a container, we would discover that the smallest component would be that knowledge that we know that we know. The next largest component would be that knowledge that we know that we don’t know. But the overwhelming component would be that knowledge that we don’t know, that we don’t know. For you or me to judge God, we would have to be in receipt of all knowledge, which clearly we are not. When you judge anyone from a limited knowledge base, you are exercising self righteousness and self righteousness is a stinking canker on the carcass of religion. Reason number six why people stuck in religion make no attempt to escape. Stockholm syndrome is a condition that causes hostages to develop a psychological alliance with their captors, as a survival strategy during captivity. These feelings, resulting from a bond formed between captor and captives during intimate time spent together, are generally considered irrational in light of the danger or risk endured by the victims. Generally speaking, Stockholm syndrome consists of “strong emotional ties that develop between two persons where one person intermittently harasses, beats, threatens, abuses, or intimidates the other.” The FBI’s Hostage Barricade Database System shows that roughly eight percent of victims show evidence of Stockholm syndrome. Reason number seven why people stuck in religion make no attempt to escape. Somebody who is being deceived, does not, axiomatically, realize they are being deceived. That is what makes deception, deception. Many people elect to stay in religion that is robbing them of freedom and wounding them permanently with spiritual abuse, because they are deceived into believing that by doing so they are pleasing God and justifying their beliefs and behavior. The human brain is an amazing organ. It keeps working 24 hours a day, seven days a week, and 52 weeks a year, from before you leave the womb right up until you find religion. The story is told, of a farmer whose neighbor came to visit him. As they were chatting, a hound dog lying on the floor, let out a quiet wail. The neighbor asked the farmer what the problem with the dog was. The farmer replied, “Oh he’s sitting on a nail”, to which the neighbor replied, “then why doesn’t he move?”. The farmer said, “because it doesn’t hurt him enough yet”. Like the hound dog, most people stuck in religion aren’t hurting enough yet to leave. This would not be such a bad thing if church was merely a social event, a club, or somewhere we find or maintain meaningful relationships based on mutual trust and respect. But as much as that would be nice, that is NOT what we find in religion. Religion depends for its very existence on distrust of ones-self and others. The hamster is dead but the wheel keeps turning. The hound dog isn’t hurting at all because its mind has already turned to jelly. All of these reasons why people stick with their religion, in spite of the lack of any evidence that it is helping them, and with the certain knowledge, that more atrocities have been carried out in the name of religion than anything else, can be found in the words of Jesus, when he rebuked Peter; Matt 16:23-24 (KJVA) Jesus turned, and said unto Peter, Get thee behind me, Satan: thou art an offence unto me: for thou savourest not the things that be of God, but those that be of men. Then said Jesus unto his disciples, If any man will come after me, let him deny himself, and take up his cross, and follow me. There it is in a nutshell, “you don’t care about the things of God, but you prefer to care about the things of men.”. When one care’s enough about pursuing truth, they will follow Jesus, and their religion will fall away from them, but until then, they need to stay in religion until they hurt enough. If your religion doesn’t challenge you to care for people you might otherwise be dismissive about, and instead reinforces your negative feeling about them, you don’t have a religion; all you have is a formalized structure for institutionalizing your biases. Stephen Colbert said, the if this is going to be a Christian nation that doesn’t help the poor, either we have to pretend that Jesus was just a selfish as we are, all we’ve got to acknowledge that he commanded us to love the poor and serve the needy without condition, and then admit we just don’t want to do it. The Church industrial complex in the USA alone is a $600 billion a year industry, yes, that’s billion with a B, and yet still only 1% of all that money, hits the ground running in countries that have never heard the name of Jesus, but are aware of the Coca-Cola symbol. Join your own dots.